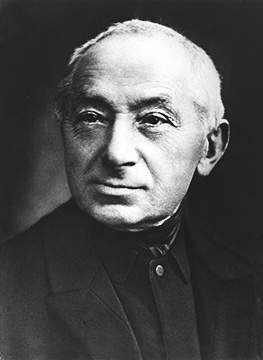 Long before "Made in Germany" was used as a guarantee of quality, Eduard Wille recognised that the highest achievable standard of quality was the key to good development and production. At the company's location in Wuppertal-Cronenberg he set up one of the most modern tool forges in Europe. The products made by him and his team soon earned them an excellent reputation. Right from the outset, STAHLWILLE has been a responsible employer - the founder himself understood that even the best product is worthless if the employees are not fully committed to their task. 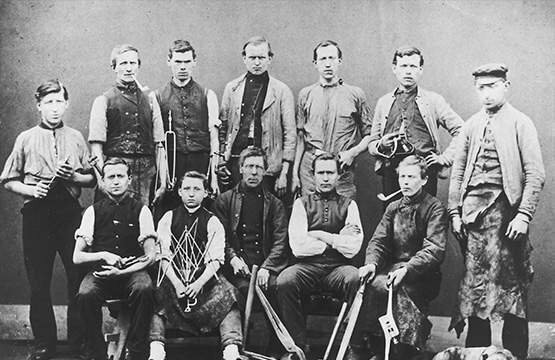 Since then, right up to today, the staff at STAHLWILLE - of whom there are now more than 600 - have shared the same passion for excellence in the production of handtools. As one of the very few enterprises in the handtool business, STAHLWILLE is committed to Germany as a manufacturing location. We believe that it is only here that we can guarantee adherence to our ambitious quality target: every single product hast to exceed the requirements laid down in the standards. STAHLWILLE develops and produces its tools using state-of-the-art processes at three locations in Germany. Fifty-five percent of the tools we produce at STAHLWILLE are exported to over 90 countries. The company supplies a close network of distributors and has its own sales depots in the USA and China. STAHLWILLE's dedication to quality is reflected in several awards - one is the conveted "iF Design Award" in the industrial design category. STAHLWILLE has been awarded that prize four times: in 2011, 2013, 2014 and 2017. In 2015, the company was also nominated for the "German Design Award". When it comes to quality, STAHLWILLE knows no compromises. All the products made by this company are manufactured at three locations in Germany under the most stringent quality control conditions. The latest manufacturing methods coupled with the use of the highest-grade materials ensure the closest tolerances are adhered to. And last but not least, it is the proximity to the customer and understanding of production processes and requirements that generates the innovation that the market needs. In order to provide customers with the high standards of quality and innovative capability they expect of STAHLWILLE, the company relies on well qualified, dedicated staff. Currently at 600, the number is steadily increasing as new staff join us. If you believe you have what it takes to work for STAHLWILLE, send us an application. STAHLWILLE is close to its customers wherever they are. A tightly-knit sales network and efficient logistical systems ensure that our products always reach their destination quickly. More than 100 local distributors and trade dealers are available to end users around the world to offer valuable hints and advice, in the same way as the experienced application engineers at STAHLWILLE.